Goooood morning! I hope everyone had a great weekend. I sure did! Friday night was very low key with a PB&J and a glass of white wine for dinner while watching episode after episode of How I Met Your Mother on Netflix. Saturday started with Body Pump (in love with my new gym membership and all of the classes I can now take! ), followed by Chipotle for lunch with Greg, and a fun night out with some friends. My friend and former roommate Megan is getting ready to move to California so we went to her favorite restaurant Coast for dinner before going out for more drinks and dancing. I slept in until 10am yesterday. Whaaaat??? I know. I couldn’t believe it either. We made it to the late church service before going grocery shopping and then laying around most of the day. And I mean really good stuff. 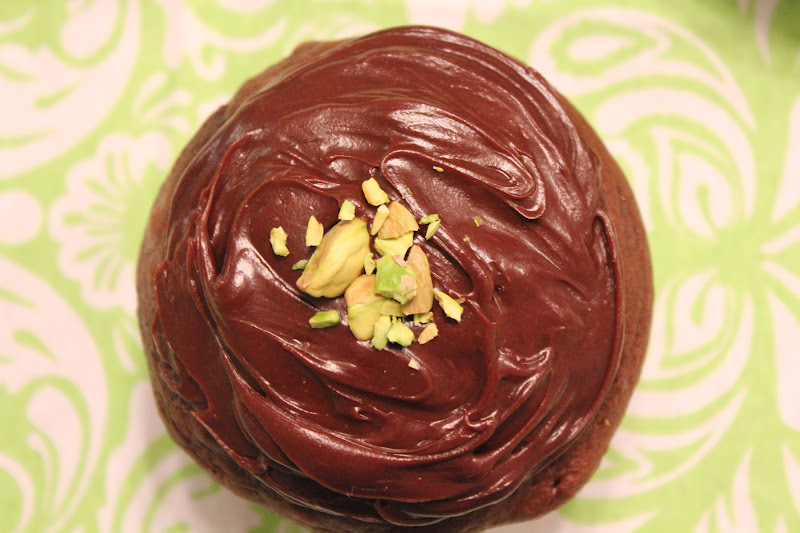 Rich chocolate and salty pistachios adding just the perfect amount of crunch. 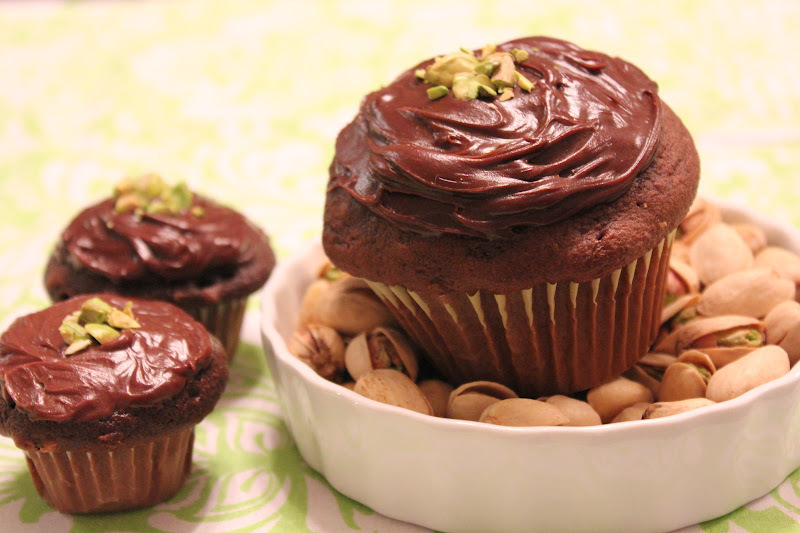 These cupcakes call for your standard boxed mix with the simple addition of chopped pistachios. I know this is nothing revolutionary, but if you are anything like me, you are always looking for new ways to customize a simple recipe. 1. Preheat oven to 350 degrees. 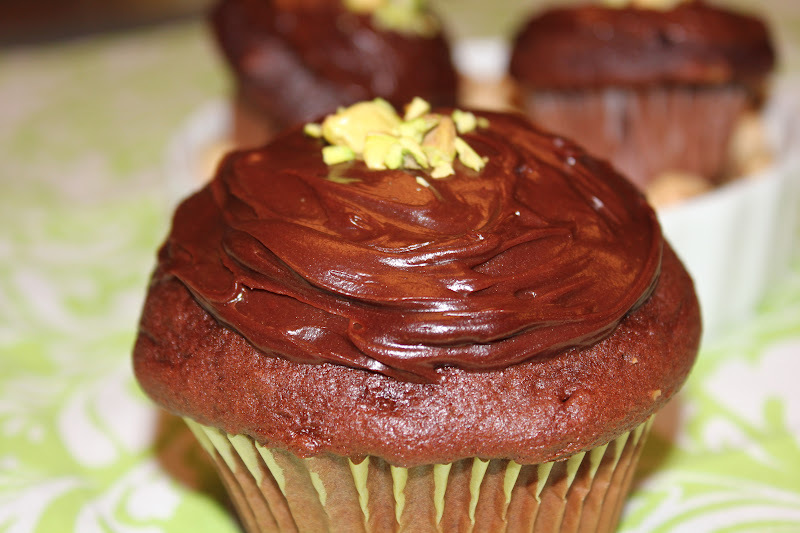 Line or spray muffin tin and set aside. 2. In a large bowl, combine cake mix, water, oil and eggs. Stir until well combined. Add chopped pistachios and stir to combine. 3. Fill wells of the muffin tin with batter, about 3/4 full. Bake for 18-22 minutes or until toothpick inserted comes out clean. 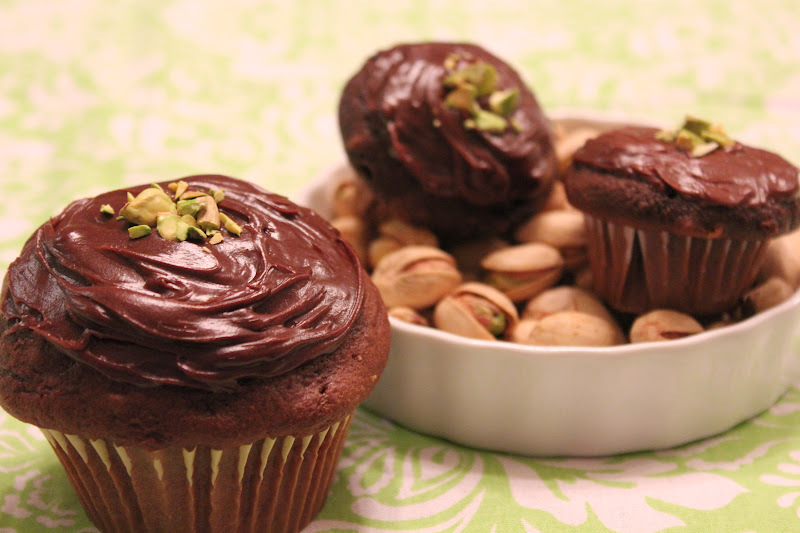 Let cool completely before frosting and topping with more chopped pistachios.